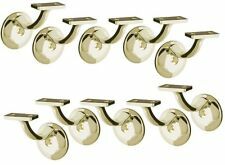 Showing results for "stair railing"
Charleston Hardware Co. antique and fine hardware reproductions S olid cast brass available in the finishes shown in the option box. Projection 3 1/8 inches. 0/0-27 SCALE: Plastruct 90483: Stair Rail.....Width: 3/4 .....Length: 12 Powered by eBay Turbo Lister The free listing tool. List your items fast and easy and manage your active items. 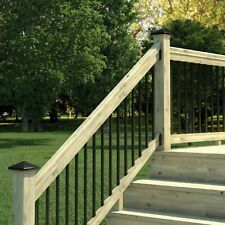 MULTIPLE LENGTHS 1-3/4 AT THE BOTTOM.Simply the best designed wood baluster. The 2015 is as beautiful as a plain, with flutes or with a twist. It has a simple bottom urn with and tapers upward move the eyes gracefully up a stairway. The 2015 is excellent for Victorian stairs or traditional stairs. The 2015 series baluster does come with a dowel pin on the bottom. Charleston Hardware Co. antique and fine hardware reproductions T he Windsor pattern dates from 1885. These stair brackets are faithful reproductions cast in brass. Projects 3 5/8 inches. Finishes as shown in the drop down box. Sold each.